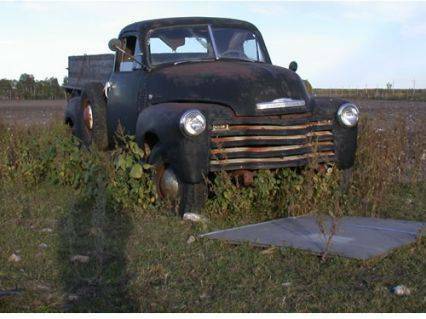 Old 1951 Chevy Truck Photo Picture Classic Cars for sale & Classifieds - Buy Sell Classic Car & Classic Truck Classifieds. looks like sitting on more modern 4x4 frame. see distance to top of wheels? wierd frame horns out front? There are two of these in good shape in Hallsville, Mo. They sit in a salvage yard waiting. Its a '51.Thats the only year with wing windows AND turn down door handles.